West Virginia’s top prosecutor unveiled a plan Tuesday that takes aim at the people many blame for fueling the opioid epidemic that has ravaged this state: doctors. Under the plan, physicians would be barred from prescribing more than a three-day supply of opiates to adults or minors during an initial visit — and require them to “review the state’s controlled substance monitoring database” each time they prescribe an opioid, not once a year as is done now. “Enforcing such a provision would foster an attitude of care over cash among doctors,” West Virginia Attorney General Patrick Morrisey said in a statement. 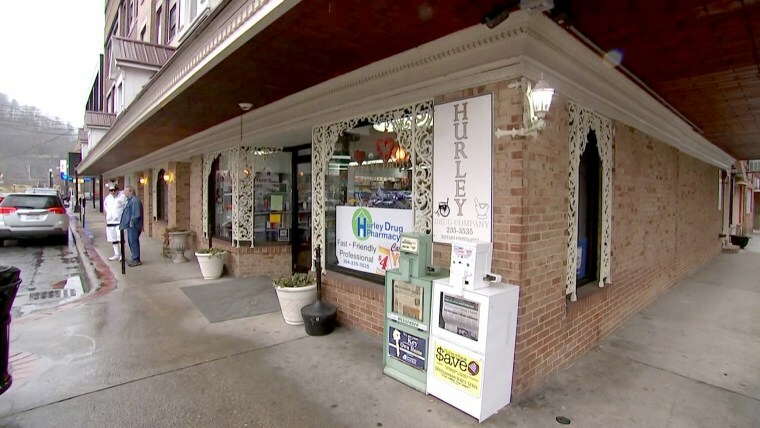 Morrisey’s move comes on the heels of reports by NBC News and other news outlets that two pharmacies in Williamson dispensed some 20.8 million prescription painkillers over a decade in a town that has just 3,191 residents — a rate of 6,500 opioid pills per person. A spokeswoman for Morrisey said an anti-opioids plan was already in the works and that the AG’s office — in conjunction with the governor’s office — is doing a survey to see what law enforcement in all of West Virginia's 55 counties need the combat the crisis. Those findings will be presented to lawmakers in May. she said. As for the three-day limit, Morrisey seeks to amend the Opioid Reduction Act that lawmakers are already considering, which would limit opioid prescriptions on initial doctor visits to seven days, like in neighboring Ohio, the spokeswoman said. West Virginia already has the dubious distinction of having the highest fatal drug overdose rate in the country — 52 per 100,000 residents — according to the federal Centers for Disease Control and Prevention. In addition, Morrisey hopes to add 150 troopers and 50 investigators to the West Virginia State Police and create a special drug investigation unit within the AG’s office. “Combined, these moves could reopen closed police detachments, enhance 24-hour police coverage and authorize the Attorney General’s Office to assist county prosecutors in the fight against opioid abuse,” the statement reads.